Lunch served at 12:30 and guest speaker is U.S. District Judge John Gibney. Register at the Visitor Center upon arrival. First 150 volunteers will receive an official tee-shirt! Free parking. Calling all volunteers! Are you able to lend a hand for preservation? 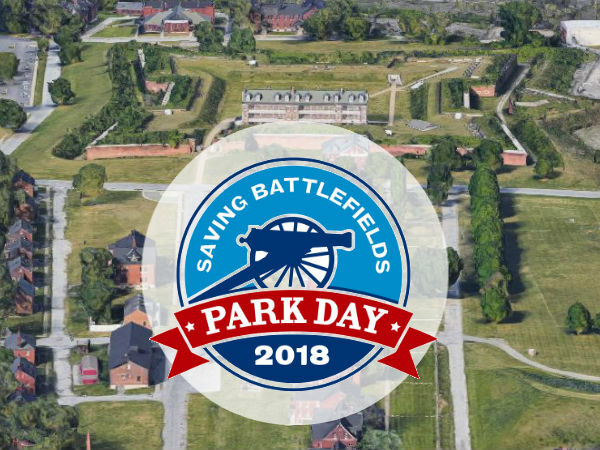 On April 7, HFW Coalition will be participating in Park Day, the Civil War Trust’s annual event where history lovers and preservationists volunteer to help their local parks across the country with maintenance projects large and small. The Civil War Trust is a national nonprofit land preservation organization devoted to the protection of America’s hallowed battlegrounds, historic sites, and museums. It saves these sites and educates the public about their importance in forging the nation we are today. To date, the Trust has preserved over 48,000 acres of battlefield land in 24 states.